Employees from Scottish wholesaler, JB Foods, and foodservice buying and marketing group, Caterforce teamed up in December to tackle homelessness across Scotland. Staff from the two companies volunteered as an official catering partner for social enterprise Social Bite’s Sleep in the Park event. The wholesaler supplied fundraising events with essential catering supplies. 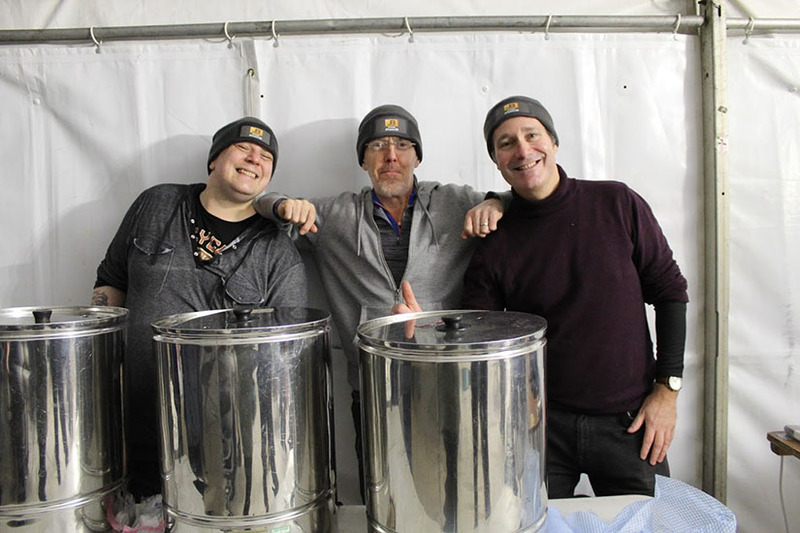 Together with donations from Caterforce of its own-label Chefs’ Selections products, the two companies provided thousands of people taking part in the sleep out with hot drinks throughout the night. More than 10,000 people turned out to spend the night outside across Edinburgh, Aberdeen, Dundee and Glasgow with the number believed to be the world’s biggest sleep-out event. Other wholesalers are pulling out the stops to raise money for a good cause, too. A number of colleagues and Members of Unitas Wholesale Ltd last year took part in a Fantasy Football league competition. The winner of the competition was Unitas Wholesale member, Chris Hughes, Managing Director of Regal Wholesale Ltd, the Wirral, Merseyside. Chris has chosen to donate the price of £1300 to the Wirral based charity, the UTS Foundation, which will fund weekly yoga sessions for cancer patients. Published 1:14pm February 11, 2019 . Could it be time for some wholesalers to embrace digital when talking to customers?